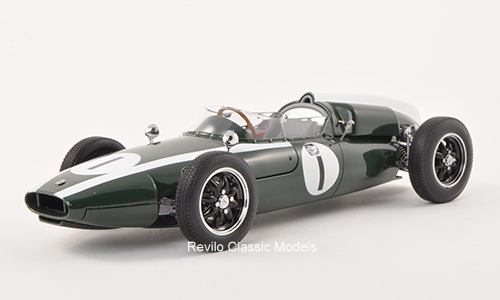 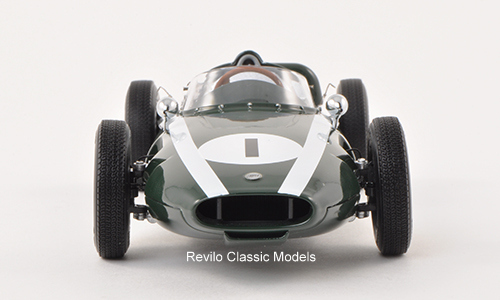 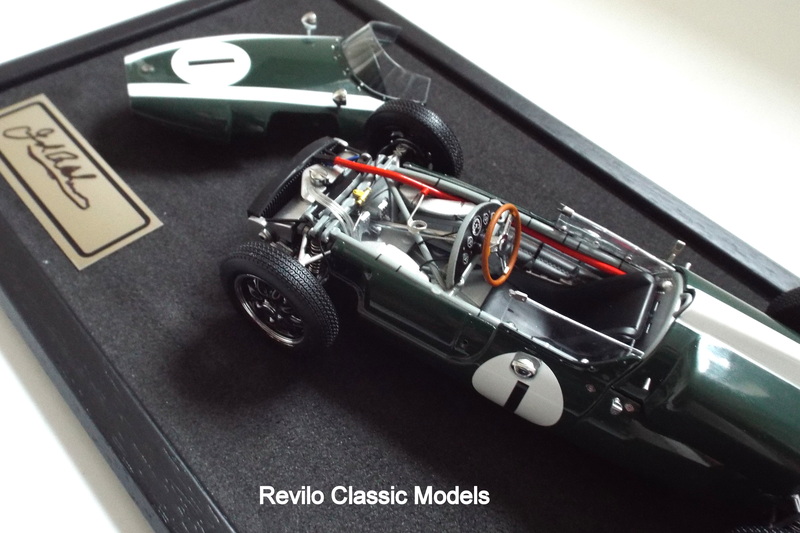 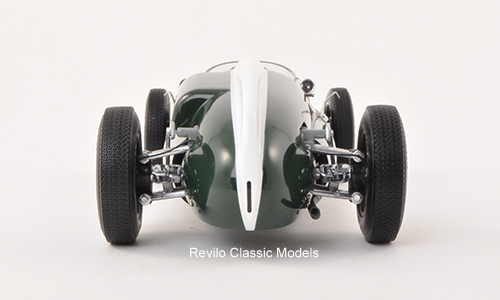 This is a 1:18 scale replica of the 1960 Cooper Climax T53 specifically replicating the car at the British Grand Prix that year and the World Championship winning car driven by the late Sir Jack Brabham, reaching the second of his three World titles. 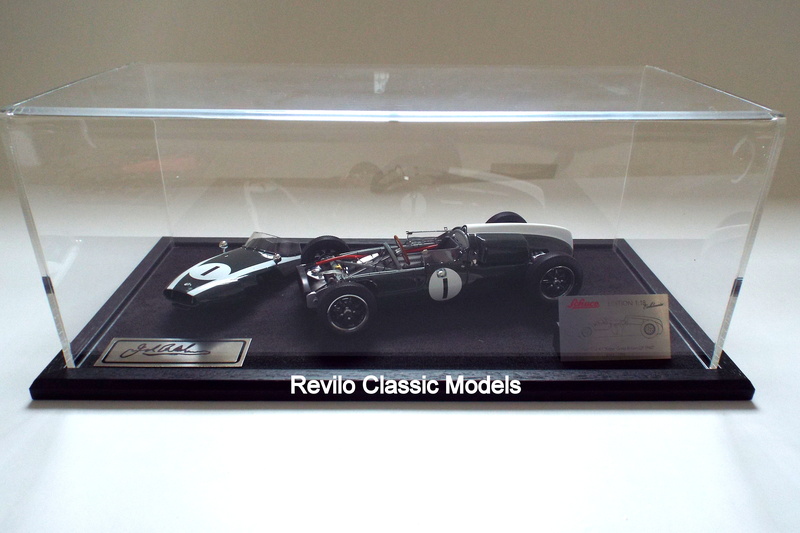 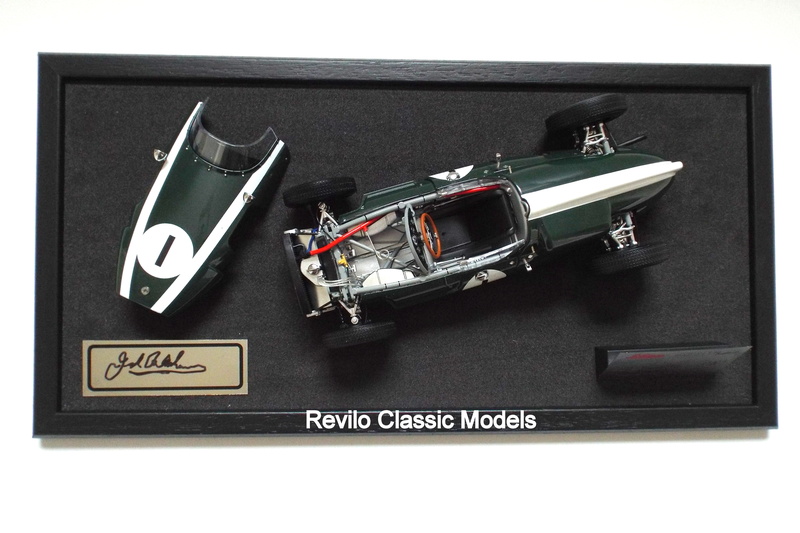 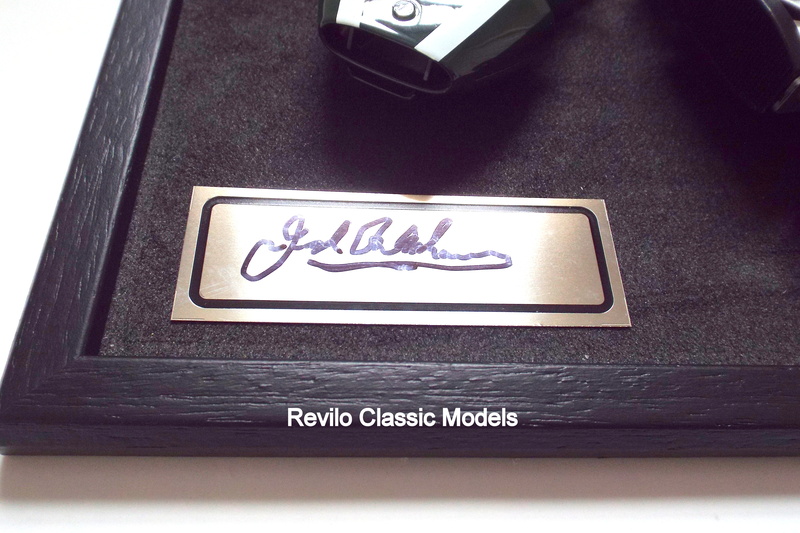 The model comes with a HAND SIGNED plaque by Jack Brabham (with certificate of authenticity), a stand up plaque detailing the model and a display case. 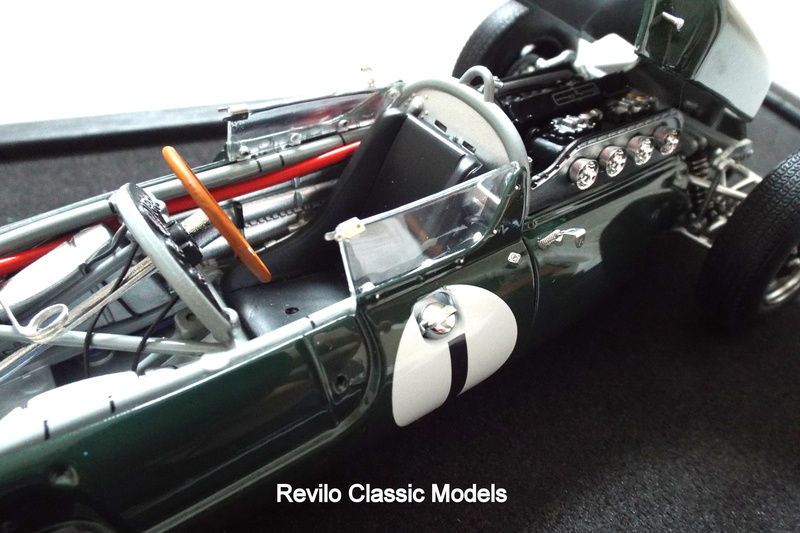 The model comes with removable front bodywork and engine cover and working steering, with some very impressive fine detailing. 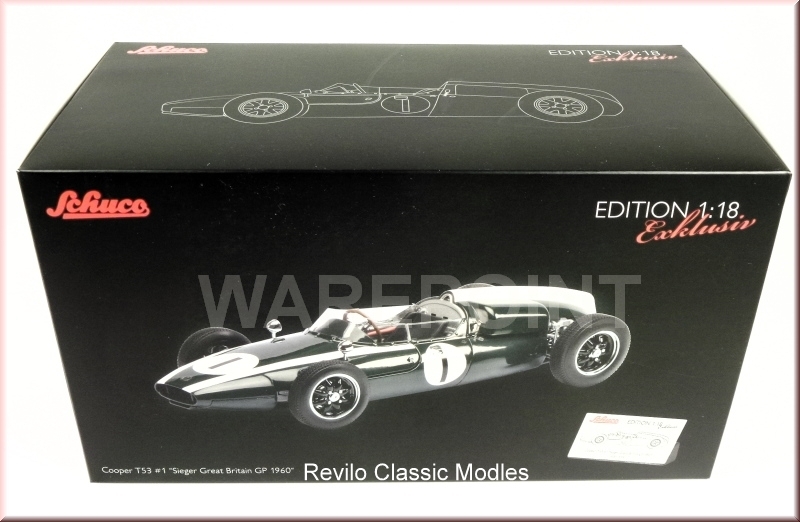 This is new and comes with all original packaging. 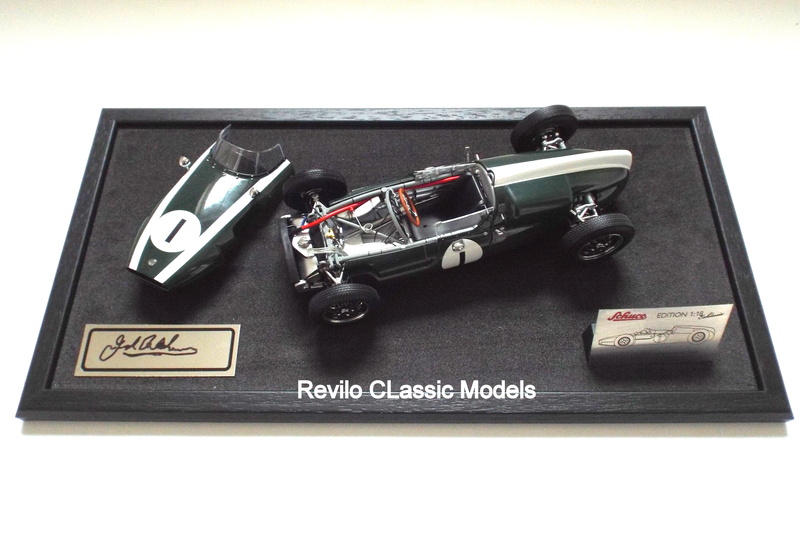 Also available in the art section is a framed print of a trio of cars driven by Sir Jack Brabham including the Cooper Climax T53 #1 as driven at the British Grand Prix.